Brad Smith Racing are a competitor in D1NZ - New Zealand Drifting Championship. Running a Nissan 350Z with a supercharged VQ38 plus Quaife sequential gearbox. 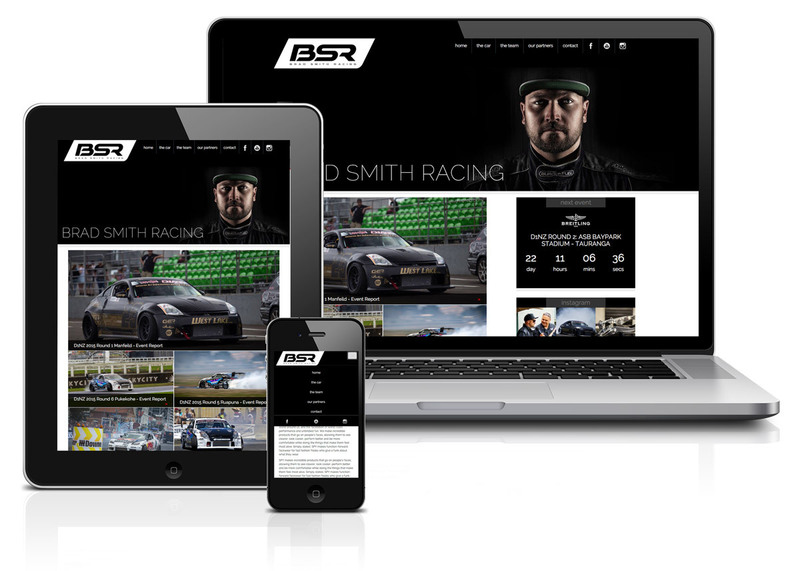 After building and maintaining a website several years ago for the team at Brad Smith Racing, we were once again approached to design a new responsive framework and fresh design to compliment a new look and direction the team were after. We rebuilt, refreshed and re-wrote much of the website to accommodate and improve many SEO and Social Media aspects as well as future proofing the site for updates that have already been taken into account. Brad and the team are really pleased with the new look and we wish them the best for the 2015/16 season!